The haunting, evocative new novel from the Nobel Prize-winning author whose compelling characters have charted Turkey’s increasingly troubled times. 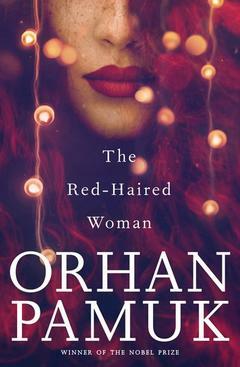 From the Nobel Prize winner and best-selling author Orhan Pamuk is The Red-Haired Woman, a fable of fathers and sons and the desires that come between them. On the outskirts of a town thirty miles from Istanbul, a master well digger and his young apprentice are hired to find water on a barren plain. As they struggle in the summer heat, excavating without luck, the two develop a filial bond neither has known before not the poor middle-aged bachelor nor the middle-class boy whose father disappeared after being arrested for politically subversive activities. The pair come to depend on each other and exchange stories reflecting disparate views of the world. But in the nearby town, where they buy provisions and take their evening break, the boy finds an irresistible diversion: The Red-Haired Woman, an alluring member of a travelling theatre company. She catches his eye and seems as fascinated by him as he is by her. When the young man's wildest dream is realised, in his distraction a horrible accident befalls the well digger and the boy flees, returning to Istanbul. Only years later will he discover whether he was in fact responsible for his master's death and who the redheaded enchantress was. The Red-Haired Woman is a beguiling mystery tale of family and romance, of east and west, tradition and modernity, by one of the great storytellers of our time. Orhan Pamuk, is the author of many celebrated books, including The White Castle, Istanbul and Snow. In 2003 he won the International IMPAC Award for My Name is Red, and in 2006 he was awarded the Nobel Prize in Literature.